PicPick is user friendly and full of features for creating your image, suitable for software developers, graphic designers and home user. Sometimes you want to get the color of a picture and apply it to the images designing. How to get the color if you don’t know the HTML? Here is the instruction. 2. 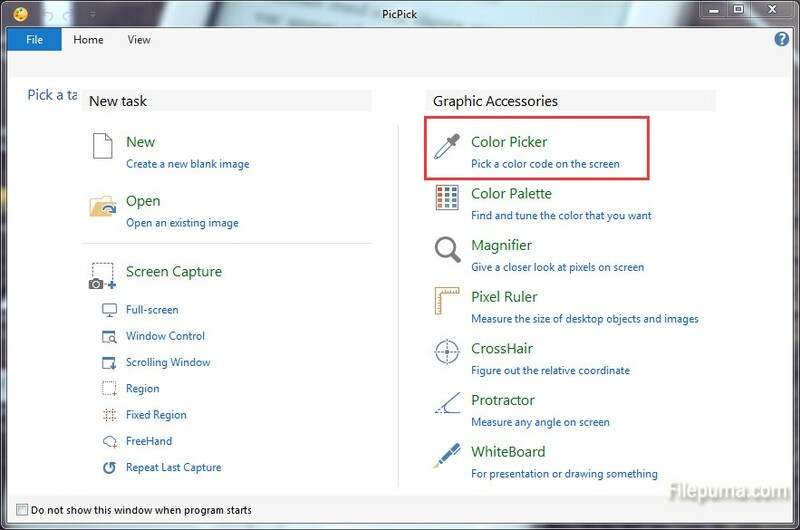 Click on the icon of ” Color Picker”. 3. Take the little eyedropper to the place where you want to get the color. Here you could see the HTML code for the color if you look at the enlarged part of the screen. 4. Click on the color. The color palette will pop up. 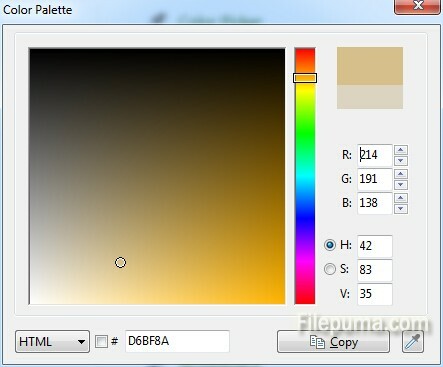 There you can see the HTML of the color and other ways of interpreting the color. You could edit the color as you like.